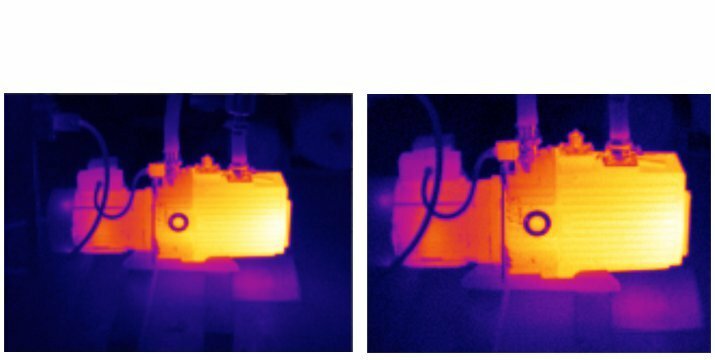 The focus of an infrared camera directly affects the accuracy of the temperature measurement data that is captured. 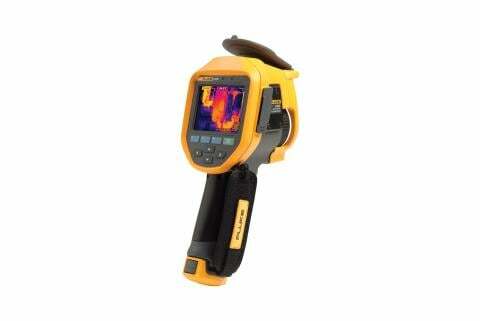 An out-of-focus image can produce a temperature measurement that is off by 20 degrees or more. The main types of focus systems on infrared cameras include fixed focus, manual focus, and automatic focus. Fixed focus cameras are generally designed to scan targets from about .45 m (1.5 ft) away or more. Many manual focus cameras can capture images closer. 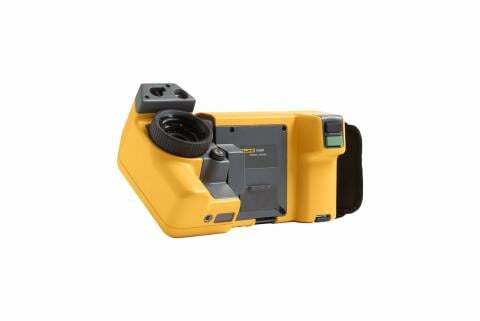 Fluke manual focus cameras, for example, can manually focus as close as .15 m (6 inches). Some cameras also offer autofocus. Fluke autofocus cameras feature a built-in laser distance meter to calculate the distance to the user-intended target and adjust the focus precisely to that measurement. This is called LaserSharp® Auto Focus. 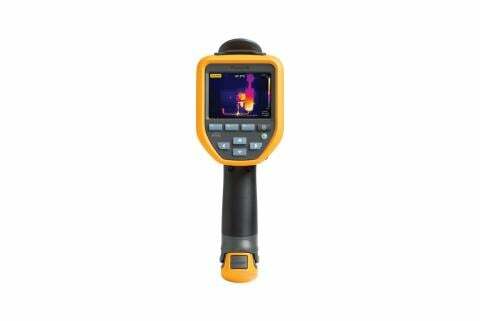 The optics of a thermal imager focus infrared energy onto the detector to produce a response. The materials used for these optics determine how efficiently infrared energy is transmitted to the detector, and therefore the quality of the resulting image. Germanium lenses covered with special coatings are used in the better infrared camera lenses. Germanium is the most efficient available material for transmitting energy to the detector to produce high quality infrared images. Detail can be critical when viewing small targets, small components on targets, or when inspecting from a distance. For more detailed images, you need more detector pixels focused on the target. That's why it's important to know the detector resolution or number of detector pixels on the infrared camera. Each pixel detects the apparent temperature measurement of an area of the target. All else being equal, you can get a more detailed image with a camera that has more detector pixels. The field of view (FOV) of a thermal imager is as important as the detector resolution in determining image quality. FOV defines the area the imager sees at a given moment. It is determined by the combination of sensor size, lens, and distance to the object. A camera with a wider FOV displays a larger area. If you need to inspect your target from a distance due to obstructions or safety concerns, a camera with a wider field of view may display a much bigger area than you need. Each pixel will detect the apparent temperature measurement of the total area and as a result the image won't be as detailed. If you compared cameras from the same distance with the same detector resolution, but one camera had a tighter field of view, this image would be more detailed because the pixels are focused on a smaller area. If your camera is compatible with 2x or 4x telephoto lenses, those lenses will further tighten the field of view, allowing you to see much greater detail from the same distance. Because both detector pixels and field of view play a key role in infrared image detail, there is a specification that takes both into account–spatial resolution. The best spatial resolution has the largest number of detector pixels within the smallest field of view. This combination is measured in mRads. Look for a smaller mRad number for a more detailed image. 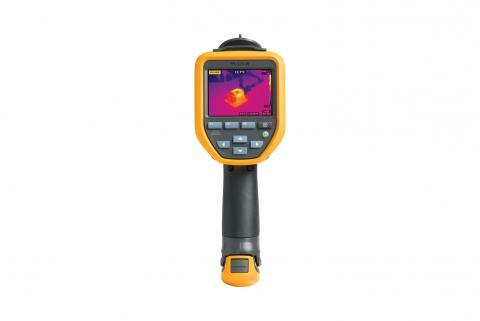 Fluke thermal imagers, for example, range from 0.6 mRad (best) to 7.8 mRad.